The concept of proof is introduced. Recently on an A-Level course that I attended we discussed proof at A-Level and the struggle students apppear to have with it. We discussed whether this is due to proof not really being used throughout KS3/KS4 but something we tend to look at as a single topic in year 11 rather than scattering it throughout KS3/KS4. Ever since then I have thought that if an opportunity arose to be able to use proof lower down then I would take it. At the start of the lesson we disucssed the key word ‘quadratic’ as non of my students were actually able to verbalise the meaning and so we wrote down a definition and we were all happy with this (never assume that because the students have been using the word means they can verbalise its meaning). We then went on to look at two examples of expanding double brackets (one example was a standard expand these two brackets and the other used the square notation). I highlighted with the square notation the common error that most students make which is to omit the ‘x’ term of the expression as the temptation to treat any bracket squared as the difference of two squares is too great. Once we had done these I simply put these questions on the board and let the students go. Question 5 prompted the first question, as some students were unsure how to approach this. The 6 squared element seemed to confuse some of them and they weren’t quite sure how to treat it. Once I had been through this with them they were then happy with the concept and continued on with the questions. 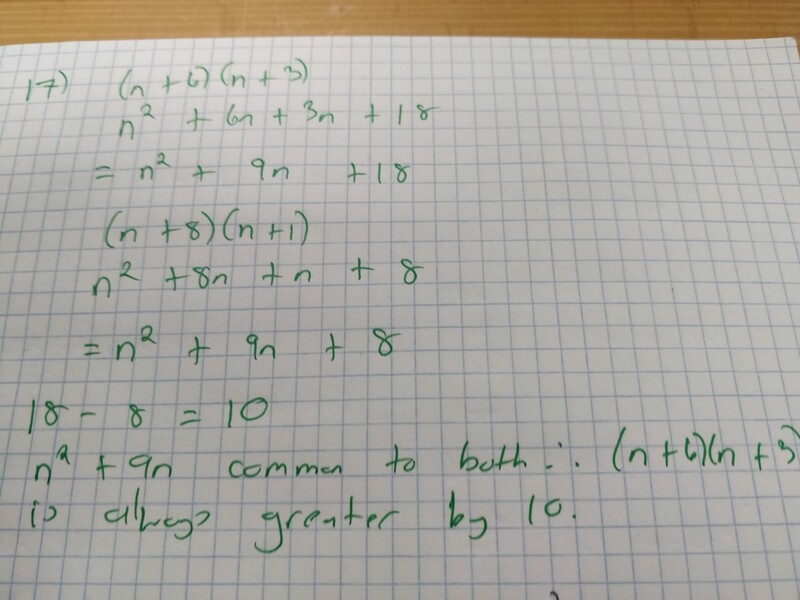 I was able to go through some of the common concepts of proof such as having to actually write a statement in proof to communicate what it is that you have actually found. I was able to show how we can compare expressions to show that something is true and introduce some very basic concepts of proof. 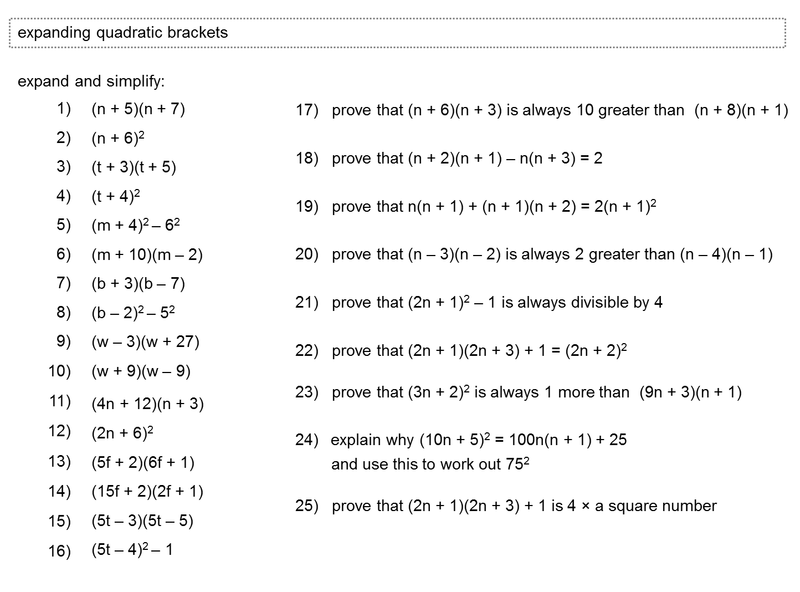 My students next time they come across proof, which I hope I will be able to interject again this year, should at least have a little knowledge and hopefully start to remember that Mathematically we use algebra to prove. Reflecing upon this lesson there are a few things that I might now go back and add in. 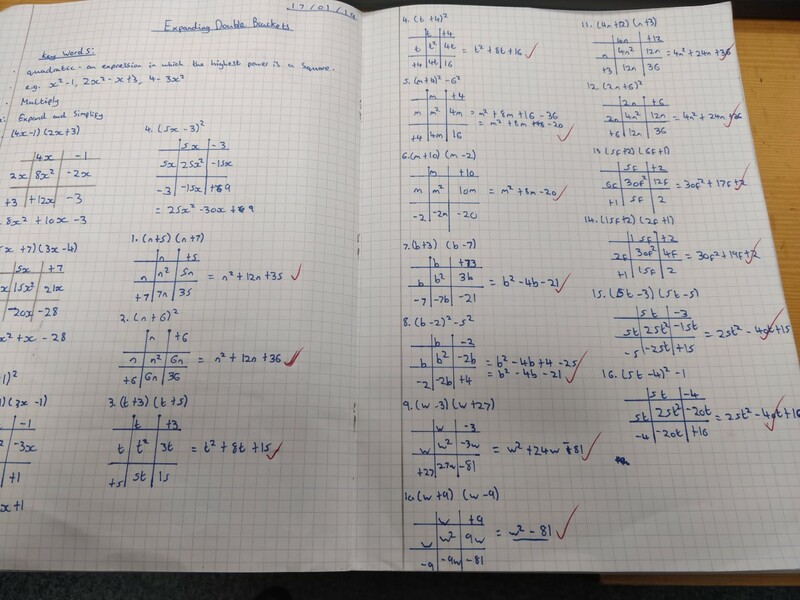 I don’t think I fully utililised the left hand side of the questions, I simply asked the students to complete the questions but never really made them think about the connections between the answers. I could have actually asked the students to predict what they thought the question they were about to complete would produce and encourage them to start making the links between the questions. I could have asked them to a write a sentence after completing two questions with the same answer as to why the questions both led to a same answer even though the question was presented differently. This may have been a missed opportunity to help my students start building connections and go beyond simply completing the questions. 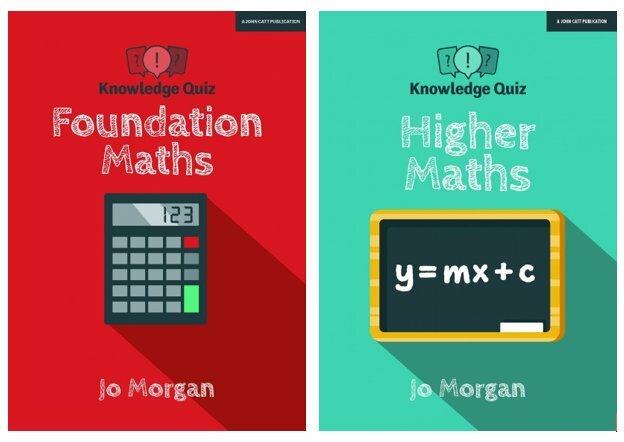 Overall, I would certainly recommend using this resource with a class that is expanding quadratics. 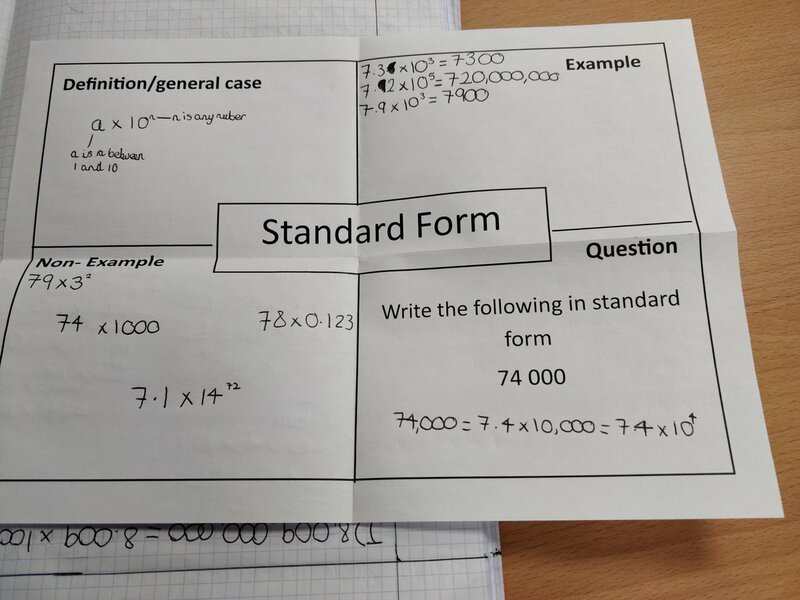 There was certainly lots in this activity for the students to get their teeth into and personally for me, any resouce that starts to introduce the concept of proof further down is important and should be maximised.